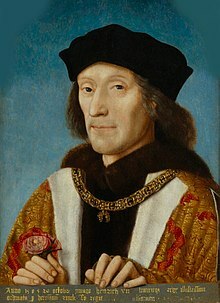 "Henry VII," in Dictionary of National Biography, London: Smith, Elder, & Co., (1885–1900) in 63 vols. "The Reign of Henry VII" in Seventeen lectures on the study of medieval and modern history and kindred subjects, 1883. "The Reign of Henry VII (continued)" in Seventeen lectures on the study of medieval and modern history and kindred subjects, 1883. This page was last edited on 17 March 2019, at 21:08.